Dearly Beloved, we are gathered here today to join bacon and s’mores in holy matrimony. If any person can show just cause why they may not be joined together – you’re too late! Y’all read that right: BACON. CHOCOLATE. S’MORES. The instant I saw this on the internets, I knew these two should become one! Was it good? Yes. I love the salty contrast to the chocolate and marshmallow. And bacon is just a wonderful thing. I wouldn’t rank it in my top 3. Unlike the chocolate chip cookie s’mores I wrote about last week, which are, in general, universally loved by all, this one is more likely to be deeply loved and adored by a select few. Use plenty of bacon. Be warned: the bacon easily gets drowned out by the marshmallow, chocolate, and graham cracker! 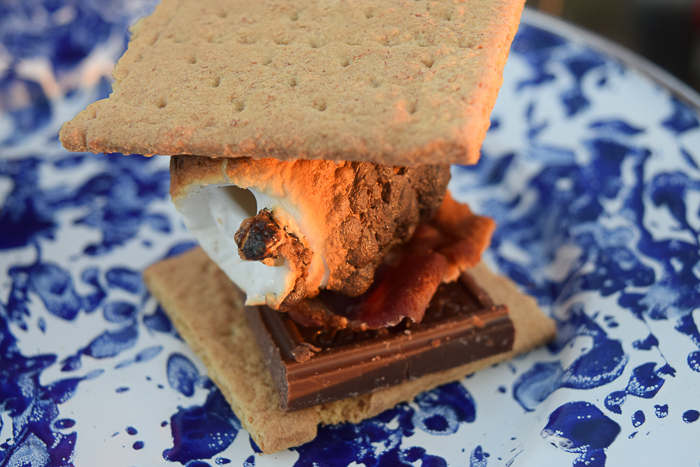 Avoid this potentially dangerous pitfall by putting a full strip of bacon on the s’more. Make the bacon before you leave home for your camp out so you don’t have to fry it on site. Hope y’all enjoy this! 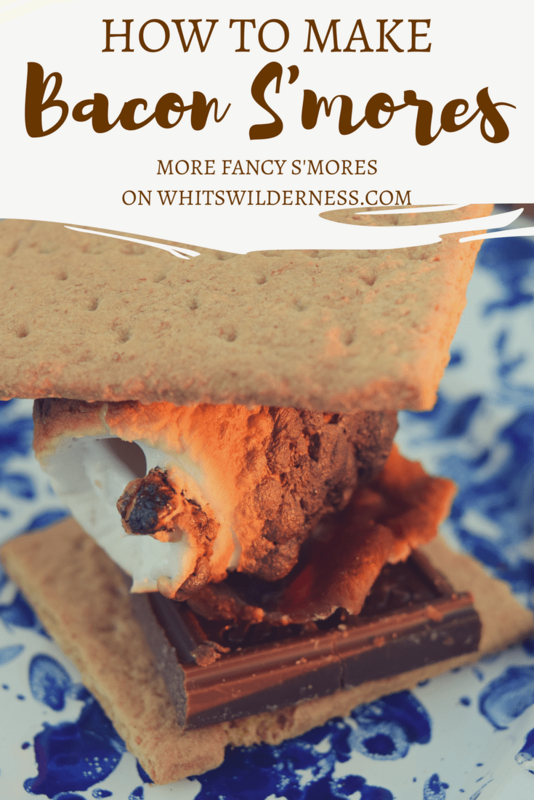 Check out my other s’more recipes here: Advanced S’more Recipes. No Replies to "Bacon Chocolate S'mores"